Nike Air Max Skyline "White/Metallic Gold-Wolf Grey"
The red-headed stepchild of the Air Max family, the Skyline, is presented here in a fresh colorway, featuring nicely placed accents. 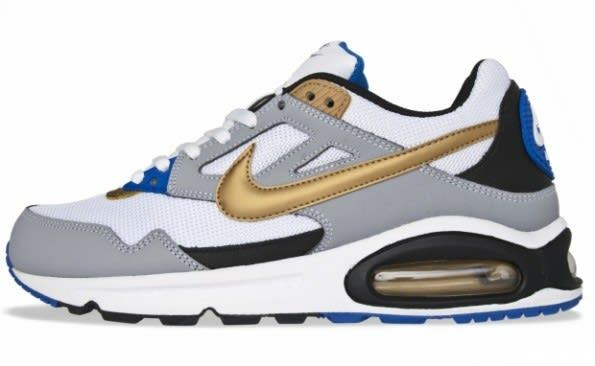 The runner is comprised of white mesh and Wolf Grey leather, as hits of Metallic Gold and Royal Blue really make the shoe pop. So sit down those 90s, 95s, and so on and so forth, and cop this Air Max Skyline through Titolo today.